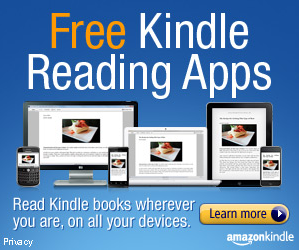 If you don't have or want a Kindle - you can still use free Kindle Apps to read your free books! Kindle reading apps are free and available on your iPhone, Android, Blackberry, PC computer, Mac computer, iPad or iPod Touch. once, and read it on any device with the Kindle app installed. And of course, you can also read that same Kindle book on a Kindle, Kindle Touch, or Kindle Fire if you own one. Kindle Books. Buy Once, Read Everywhere! NOTE - Between list updates, the price of an item may change from being free to having a price and vice versa. Although the item's price changes immediately, the list and its rankings stay the same until the next update. Any content you purchase for Kindle from the Kindle Store is eligible for return and refund if we receive your request within 7 days of the date of purchase. Once a refund is issued, you will no longer have access to the item. To request a refund and return, click the Customer Service button in the Contact Us box in the right-hand column of this page to reach us via phone or e-mail. Please make sure to include the title of the item you wish to return in your request.